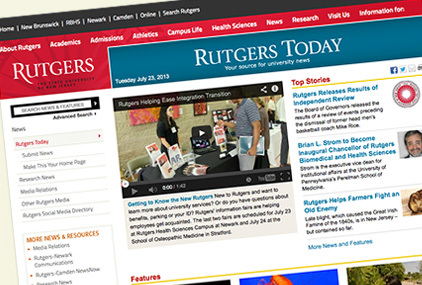 "Video Portals Help Rutgers Connect Across Campuses"
Professor, Margo Persin, interviews Spanish poet Gloria Fuertes about her collection of children's poems and her life as an author in Spain and the U.S. Produced by Spanish Television, the documentary will be aired on February 15th. The interview can also be seen on La mitad invisible's website. Studying abroad in Peru is an unforgettable adventure. Its philanthropic experience taught students not only how to speak Spanish, but how to help those in need. SpanPort Ranked 2nd in U.S. The Chronicle of Higher Education ranked the Department of Spanish and Portuguese 2nd in the 2005 Faculty Scholarly Productivity Index.